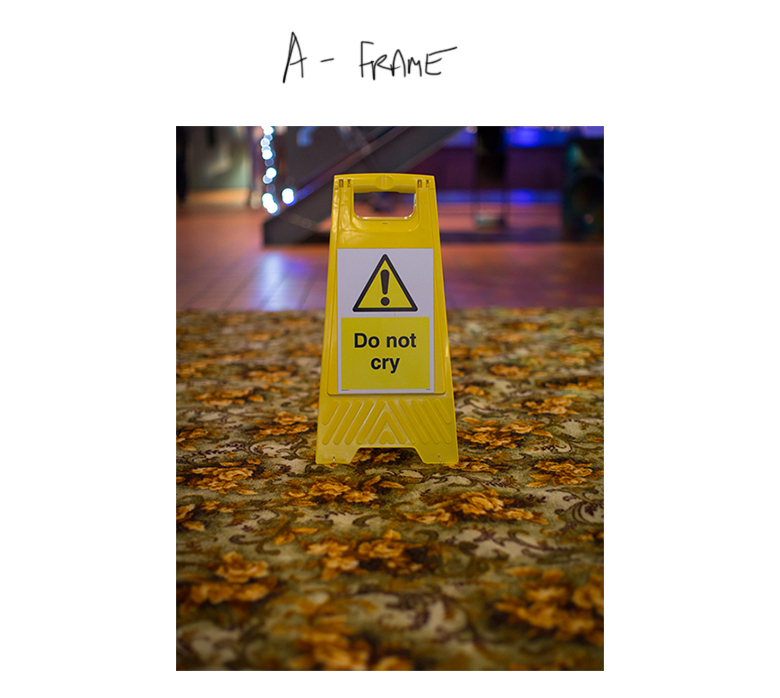 A - FRAME is a standalone installation, consisting of a yellow plastic A-frame sign on a 3m x 3m square of vintage carpet. Recently we have been talking a lot about the past. This carpet could be a room in the houses we grew up in (imagined or real) – it’s a place we might leave, a place we might end up at, a historical reference and a commodified retro swatch. The presence of the sign connotes that something has been spilled, and needs to be cleaned up. 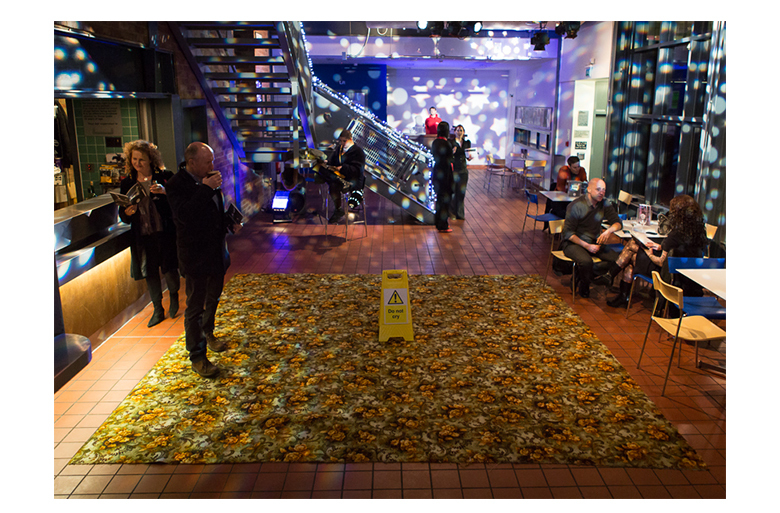 It could be the carpet itself that’s been spilled, from the domestic into the institutional space. It could be regret – ‘spilt milk’ – lying in the past but trodden over daily. Whatever the mess at our feet is, the sign warns us to get over it. 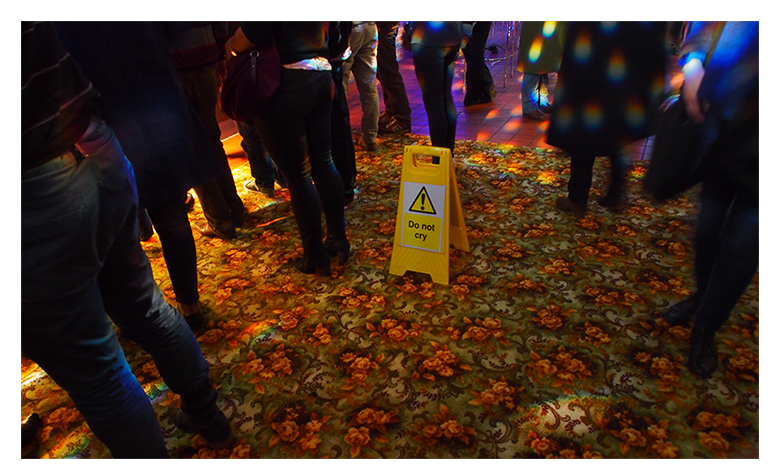 You are welcome to walk on the carpet.